Between 1309 and 1814, with Europe in the grip of the cool period sometimes known as the Little Ice Age, the river Thames froze over 23 times. 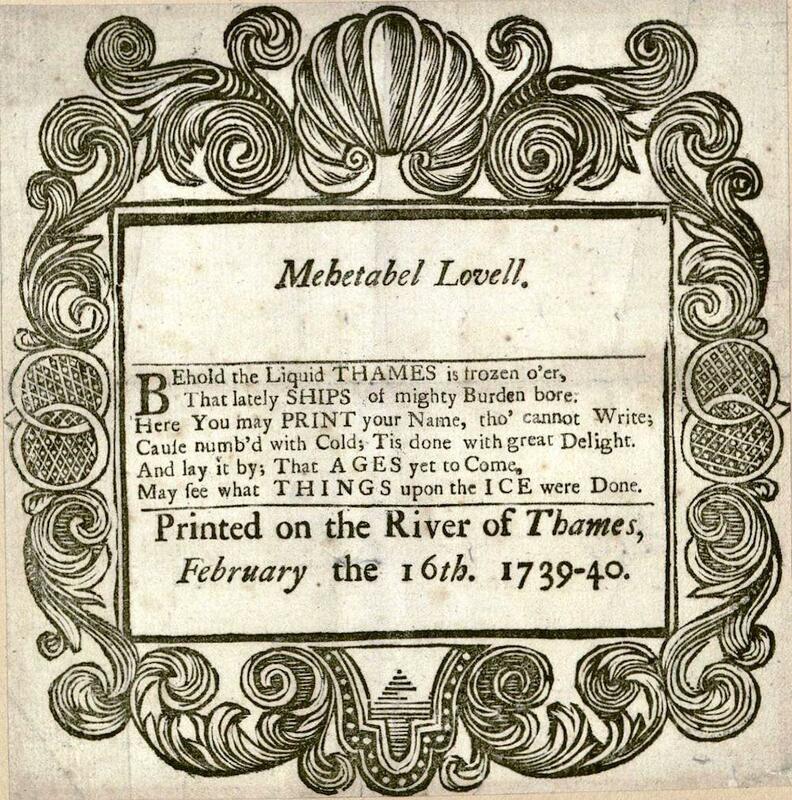 In five of these instances, the river’s ice was thick enough to support structures, and citizens of London took advantage of the circumstances to throw dayslong “frost fairs.” As part of the festivities, printers set up shop on the ice and sold engraved and letterpressed sheets of paper like those below. Harvard University’s Houghton Library recently acquired six such keepsakes. 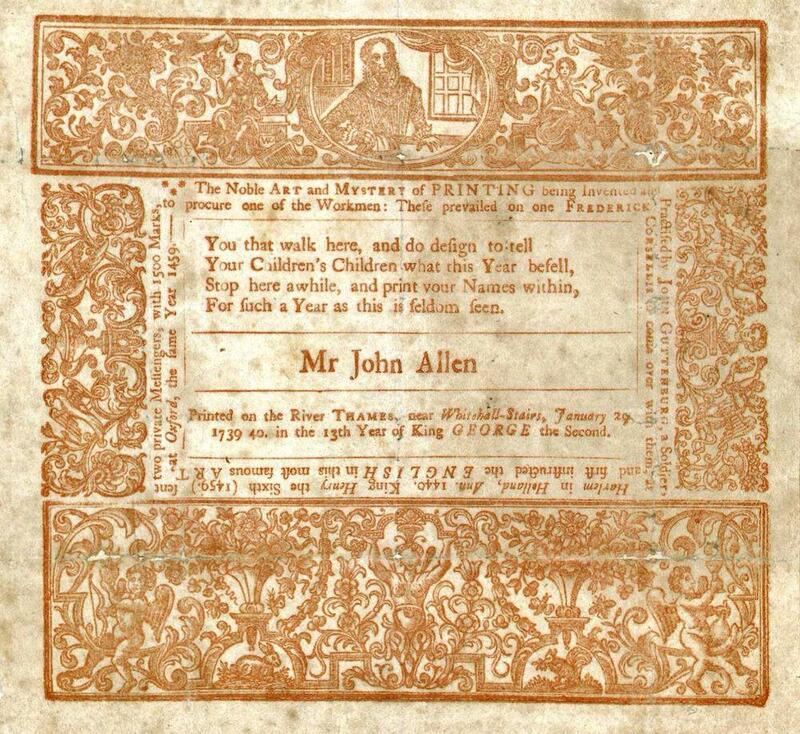 The market created by these frost fairs encouraged printers to innovate. “The men who dragged their presses onto the ice and produced these keepsakes were a competitive lot, each trying to offer the most enticing product … Verses were borrowed liberally from one another, apt woodcuts added to the popular appeal, and blank spaces would be filled in with the names of individual recipients,” Karen Nipps of the Houghton Library writes. 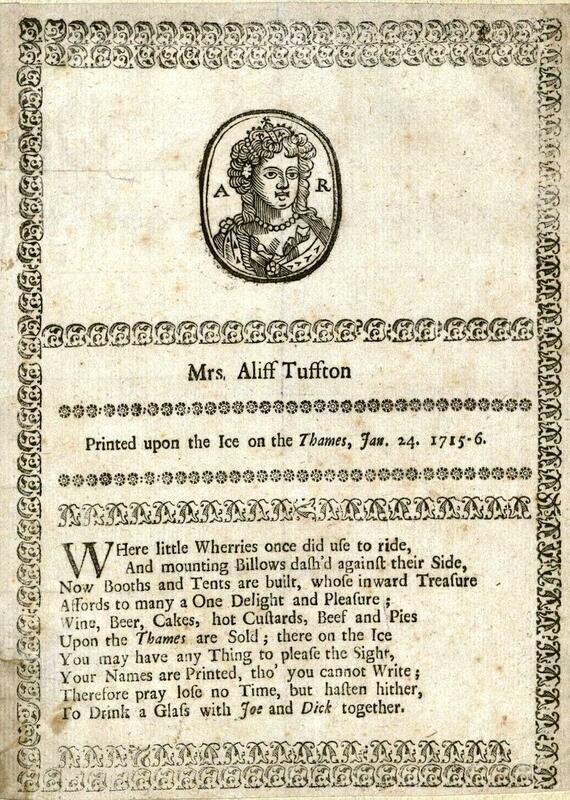 Mrs. Aliff Tuffton (1716), Houghton EB7.A100.716m2. Erra Paters Prophesy or Frost Faire 1683/4 (circa 1760) EB75.A100.760e. 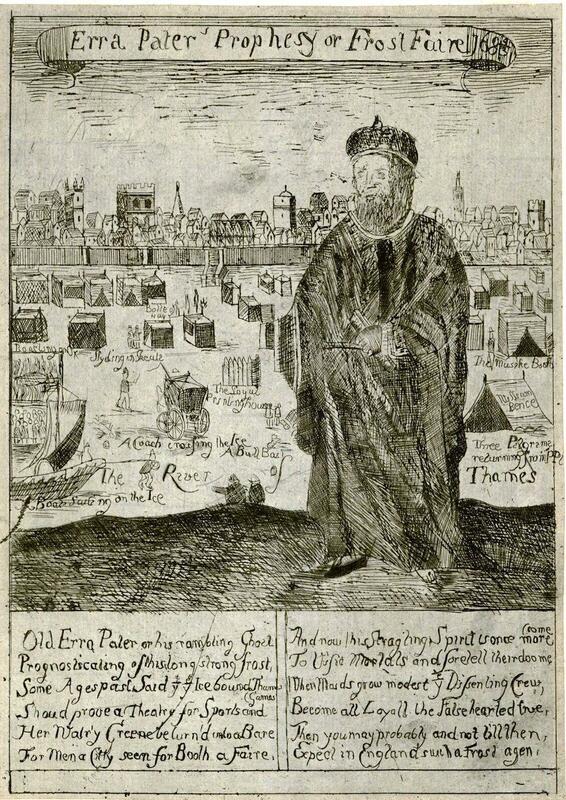 “Pater was the pseudonym of the astrologer prognosticator William Lilly (1602–1681), who had foretold of this frost,” writes Karen Nipps. Mehetabel Lovell (1740), Houghton EB7.A100.740m. You that walk here, and do design to tell (1740), Houghton EB7.A100.740y.